These seven lineages were eventually united by the marriage of the Catholic Monarchs, Ferdinand II of Aragon (king of the Crown of Aragon) and Isabella I of Castile (queen of the Crown of Castile). Although their kingdoms continued to be separate, with their personal union they ruled them together as one dominion. 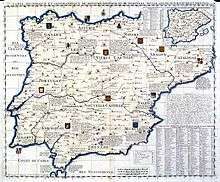 Ferdinand also conquered the southern part of Navarre and annexed it to what was to become Spain. 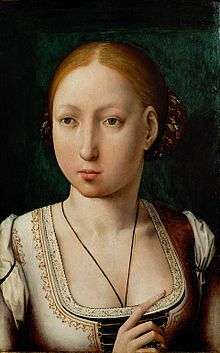 Isabella left her kingdom to her daughter Joanna of Castile. Ferdinand served as her regent during her insanity; though rebuffed by the Castilian nobility and replaced by Joanna's husband Philip the Handsome, he resumed his regency after Philip's death. 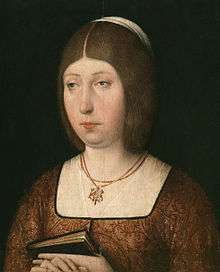 In 1516, after Ferdinand II's death, his daughter Joanna inherited the kingdom of Aragon, but was kept prisoner at Tordesillas as insane. As Joanna's son, the future Holy Roman Emperor Charles V, did not want to be merely a regent, he was proclaimed king of Castile and Aragon jointly with his mother in Brussels. Subsequently, Castilian and Aragonese Cortes alleged oath to him as co-king with his mother. Upon her death, he became sole King of Castile and Aragon, and the thrones were thereafter united permanently. Under Isabella and Ferdinand, the royal dynasties of Aragon and Castile were united into a single line. Historiography of Spain generally treats this as the formation of the Kingdom of Spain, but in actuality, the two kingdoms continued for many centuries with their own separate institutions. It wasn't until the Nueva Planta decrees of the early 18th century that the two lands were formally merged into a single state. Under Joanna and Charles I, the two thrones of Castile and Aragon were finally united under one monarch. 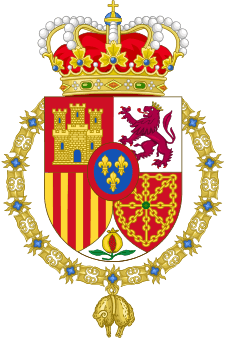 Traditional numbering of monarchs follows the Castillian crown; i.e. after King Ferdinand (II of Aragon and V of Castile jure uxoris as husband of Queen of Castille Isabella I), the next Ferdinand was numbered VI. Likewise, Alfonso XII takes his number following that of Alfonso XI of Castile rather than that of Alfonso V of Aragon, the prior Spanish monarchs with that name. In the year 1700 Charles II died. His will named the 16-year-old Philip, the grandson of Charles's sister Maria Theresa of Spain, as his successor to the whole Spanish Empire. 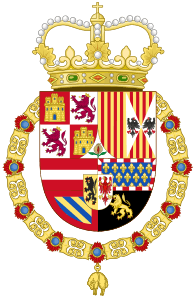 Upon any possible refusal of the undivided Spanish possessions, the Crown of Spain would be offered next to Philip's younger brother Charles, Duke of Berry, or, next, to Archduke Charles of Austria. 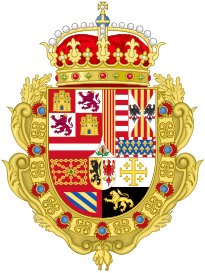 Both claimants, Philip and Charles, had a legal right to the Spanish throne because Philip's grandfather, King Louis XIV of France and Charles's father, Leopold I, Holy Roman Emperor, were sons of Charles's aunts, Anne and Maria Anna. 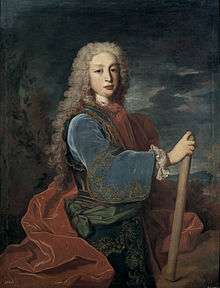 Philip had the better claim because his grandfather, King Louis XIV of France, was the son of Charles's aunt Anne of Austria, the older of the sisters of Philip IV. 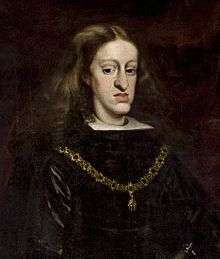 However, Philip IV had stipulated in his will the succession should pass to the Austrian Habsburg line, and the Austrian branch also claimed that Maria Theresa of Spain, Philip's grandmother, had renounced the Spanish throne for herself and her descendants as part of her marriage contract. This was countered by the French claim that it was on the basis of a dowry that had never been paid. After a long council meeting where the Dauphin spoke up in favour of his son's rights, it was agreed that Philip would ascend the throne. 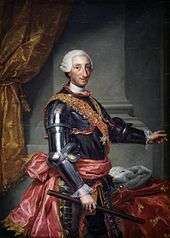 Following this, a war broke out and Archduke Charles was also proclaimed king of Spain, as Charles III in opposition to Philip V. He was proclaimed in Vienna, and also in Madrid in the years 1706 and 1710. 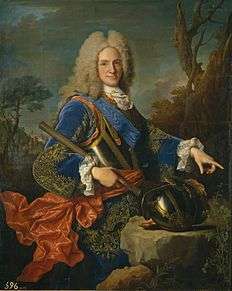 Charles renounced his claims to the Spanish throne in the Treaty of Rastatt of 1714, but was allowed the continued use of the styles of a Spanish monarch for his lifetime. 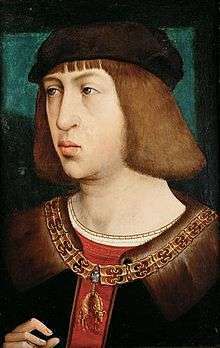 Philip ascended the Spanish throne but had to renounce his claim to the throne of France for himself and his descendants. 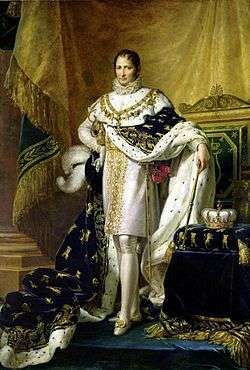 The only monarch from this dynasty was Joseph I, imposed by his brother Napoleon I of France after Charles IV and Ferdinand VII had abdicated. 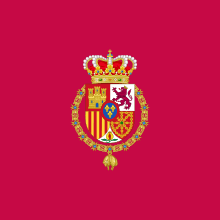 The title used by Joseph I was King of the Spains and the Indias, by the Grace of God and the Constitution of the State. He was also later given all of the titles of the previous kings. 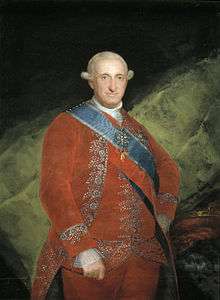 A government in opposition to the French was formed in Cádiz on 25 September 1808, which continued to recognize the imprisoned Ferdinand VII as king. 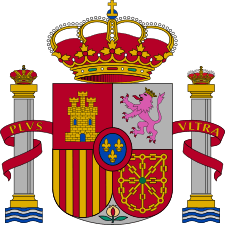 This government was diplomatically recognized as the legitimate Spanish government by Britain and other countries at war with France. 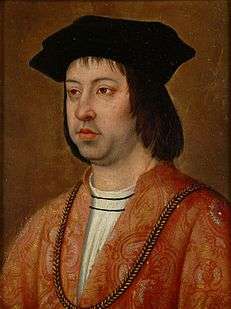 Charles IV's eldest son was restored to the throne. Again the title used was king of Castile, Leon, Aragon,… by the Grace of God. 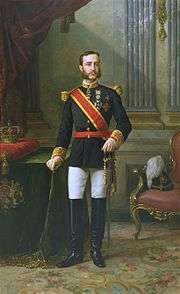 After the Spanish Revolution of 1868 deposed Isabella II, there was established a provisional government and a regency headed by Francisco Serrano y Domínguez from 8 October 1868 until 2 January 1871, while a new monarch was sought. Amadeo was elected as king and the new title used was King of Spain, by the Grace of God and will of the nation. 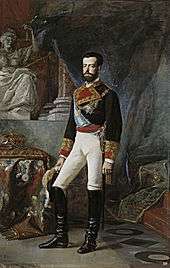 Isabella II's eldest son was restored to the throne as she had abdicated in his favour in 1870. 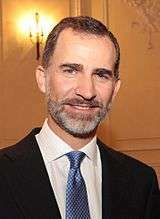 Constitutional King of Spain. On 1 October 1936 General Francisco Franco was proclaimed Leader of Spain (Spanish: Caudillo de España) in the parts of Spain controlled by the Nationalists (nacionales) after the Spanish Civil War broke out. At the end of the war on 1 April 1939 General Franco took control of the whole of Spain. In 1947, Franco proclaimed the restoration of the monarchy but did not allow the pretender, Juan, Count of Barcelona, to take the throne. In 1969, Franco declared that Juan Carlos, Prince of Spain, the Count of Barcelona's son, would be his successor. After Franco's death in 1975, Juan Carlos succeeded him as the King of Spain. Alfonso XIII's claim descended (due to his two eldest sons' renunciations) to his third son, Juan of Bourbon, Count of Barcelona, who was passed over in favour of his eldest son, whose title is King of Spain. The Count of Barcelona renounced his claims in favour of his son in 1977, two years after Franco's death and Juan Carlos's accession. ↑ Durant, Will. "The Age of Louis XIV", p.699. Simon and Schuster, New York 1963. ↑ "Leonor becomes a crown princess". El Pais.